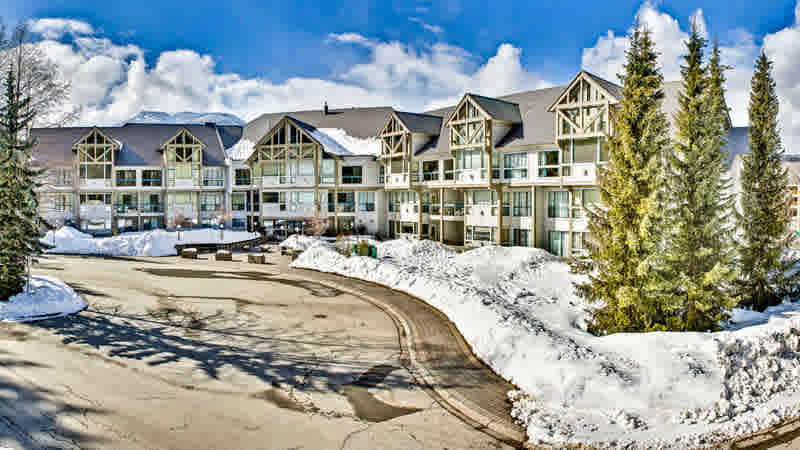 Located beside the Wizard Express Chair on Blackcomb Mountain, this family oriented ski-in/ski-out complex comes with outdoor heated pool, in & outdoor hot tub and private ski lockers. This building contains both 3 and 4 peak units. Amenities at the Greystone Lodge include an outdoor heated pool and hot tub along with an indoor hot tub, showers, and common area washrooms. There is a coin operated laundry facility in the building as well as a vending machine for quick snacks. Unique to Greystone Lodge is free underground parking, something hard to come by in Whistler. For those guests who need to stay connected there is free wireless internet throughout the building.